Quality Control of Cell Therapeutic Products – Medyag Kft. 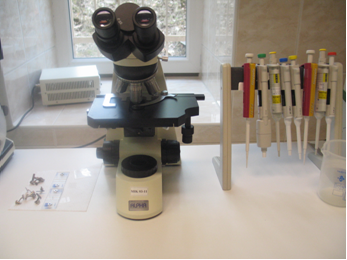 The Quality Control Laboratory of the Cell Therapy Center Ltd. performs quality control tests of starting materials, phase products, end-products, clinical samples, and excipients deriving from the manufacture of vaccines and cell therapeutic products, as well as the quality control of the manufacturing environment. Manufacturing Practice, FACT-JACIE International Standards and the MSZ EN ISO/IEC 17025 standard. The cell count as well as the viability of the cells of the starting materials, phase- and end-products deriving from the manufacture of cell therapeutic products is determined with trypan blue staining. Viability is calculated from the ratio of viable and non-viable cells. Trypan blue staining cell count is determined according to Ph. Eur. 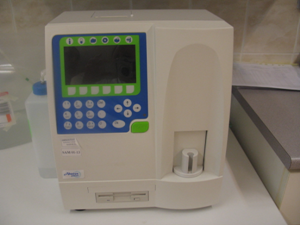 Leukocyte count of the starting materials and end products deriving from the manufacture of cell therapeutic products is determined with Abacus Junior cell analyzer.